As the pace of innovation at Apple continues to slow own, Samsung has doubled down on innovation. After unveiling a 5G variant of Galaxy S10 and a foldable Galaxy Fold, the Korean company has something equally exciting for the upcoming Galaxy Note 10. The Samsung Galaxy Note 10 is going to ditch all the physical buttons. If a new report coming out of South Korea is to be believed, there will be no volume, power, or even Bixby buttons on the Note 9 successor. What are the benefits of ditching the physical buttons? Sources familiar with the matter told Korean site ETNews that Samsung has decided to do away with physical buttons on the Note 10. The company has been developing it under the code-name “Da Vinci.” If you haven’t purchased the Galaxy S10 yet, the Samsung Galaxy Note 10 would be worth the upgrade. The “keyless” smartphone will rely entirely on touch and gesture-based inputs. Samsung is working with Chinese vendor NDT on pressure-sensitive capacitive sensors for the Note 10. NDT is a leading manufacturer of pressure sensitive sensors for smartphones. It’s possible that Samsung is developing and testing multiple prototypes of Note 10, and one of them happens to have a buttonless design. Only time will tell whether the Samsung Galaxy Note 10 will launch without any physical buttons. If the report turns out to be true, you will have to squeeze the phone similar to HTC’s U11 for different actions such as adjusting the volume and launching the Bixby AI assistant. The buttonless design will lead to better water- and dust-resistance. It also means that there will be fewer points of failure in the upcoming phablet. 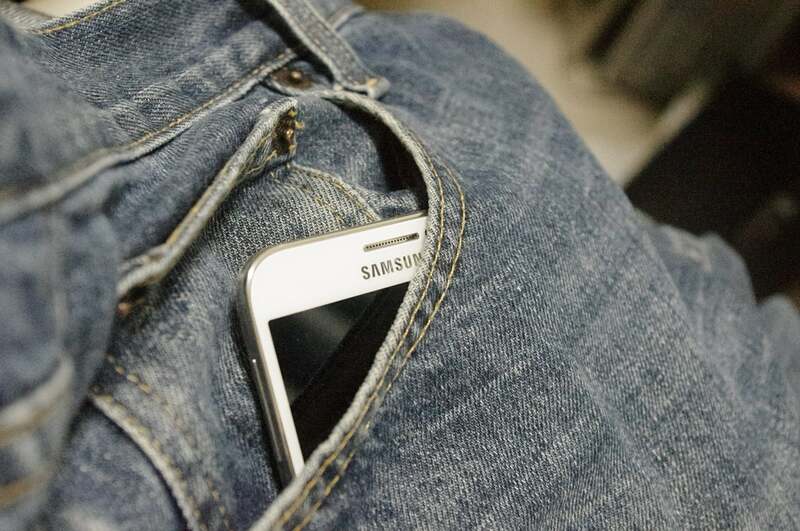 Sources told ETNews that while the Note 10 will be Samsung’s first phone to ditch physical buttons, the technology will later be added to the Galaxy A series, which is an affordable range aimed at budget-conscious customers. In the past, Samsung added many new features to the Galaxy A series before bringing them to its flagship models. Such features include the hole-punch display and the four camera setup on the back. The Galaxy Note 10 is rumored to get a quad-camera setup. The Samsung Galaxy Note 10 will not be the first phone to test the waters with a button-free design. HTC’s U11 was a brilliant device crippled by its poor button-free controls. Chinese vendor Meizu came up with the Meizu Zero concept with no physical buttons. But the phone failed to reach even half of its crowdfunding target. Meizu later said the project was never intended to enter mass production. Vivo’s Apex phone also lacks buttons, but it hasn’t received a positive response from experts. Samsung has far more R&D prowess than Vivo, Meizu or HTC. So, it could design a button-less Galaxy Note 10 that actually works and is more than a gimmick. However, the Galaxy Note is one of Samsung’s most successful smartphone lineups. It wouldn’t want to screw things up once again after the Galaxy Note 7 battery fiasco. So, the company could introduce the button-free design with another phone such as Galaxy A series, and bring it to the Note line only after it has been proven in the market. According to the rumor mill, the Samsung Galaxy Note 10 would feature a 6.66-inch Super AMOLED Infinity O display. Just like Galaxy S10, it would have a hole in the display to accommodate the front-facing camera. On the back panel, it would feature four cameras. Samsung recently acquired Israel-based Corephotonics, which indicates that the Israeli startup’s lossless zoom technology could be used in the Note 10 cameras. The Note 10 is expected to run the Exynos 9820 or Qualcomm’s Snapdragon 855 processor depending on the region. However, Chinese tipster Ice Universe claims the upcoming phablet would run an upgraded Exynos 9825 chipset. Just like Galaxy S10, there will also be a 5G variant of Galaxy Note 10. In terms of software, it would run Android 9 Pie with Samsung’s custom One UI skin on top. The One UI interface offers a natural and intuitive experience. It uses the top half of the screen to display content and the bottom half for navigation. It keeps the navigation options within the reach of your thumb. Given smartphone vendors have been consistently increasing the prices of their flagship phones, we wouldn’t be surprised if the Galaxy Note 10 comes with a starting price of above $1,000. Last year’s Note 9 was priced at $1,000 for the 128GB storage model and $1250 for the 512GB variant. Samsung traditionally refreshes the Galaxy Note line in August or September.